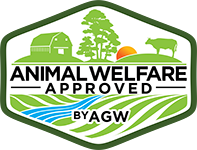 Animal Welfare Approved has an annual tradition of taking a moment to thank the family farmers who work so hard to produce healthy and environmentally responsible food for our communities. Farming is not an easy job, and we want to encourage AWA friends and followers to take this opportunity to appreciate farmers you know for their contribution to our holiday tables and to our tables every day. 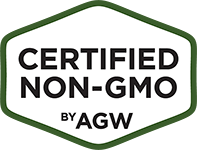 As the only national nonprofit organization that audits, certifies and supports farmers raising animals on pasture, we are fortunate to have become the most highly regarded food label for sustainability and outdoor farming systems. 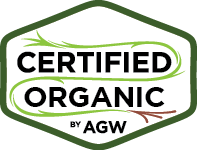 With an ever-growing family of certified farms, AWA helps consumers find sustainable, pasture-raised products and connect with the farmers that produce them. 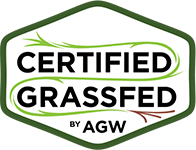 We encourage you to seek out AWA farms and purchase their products this holiday season as a way to support pasture-based farms. Please also use this forum and social media to share your thanks. USE THE COMMENT BOX BELOW TO SHARE YOUR THANKS TO FAMILY FARMERS. OR… to use Twitter to thank family farmers, use the hash tag #ThankAWAFarmers. On Facebook, use @Animal Welfare Approved to tag your message. We will share all of these messages with AWA farmers! Food is a central focus of any holiday, but it has impacts far beyond the table. While the majority of farm animals are raised in extreme confinement, numerous studies have shown that pasture- and range-based farming is better for the environment and brings a wide range of benefits to both animals and consumers. Our farmers are providing good, healthy food from animals raised according to the highest standards and are moving us all towards a more sustainable future. Every animal we raise outdoors on pasture brings an environmental benefit to us all – in responsible nutrient management, soil conservation and lower environmental impact. Join us in celebrating these farmers who work so hard to feed us and who are truly stewards of our planet.